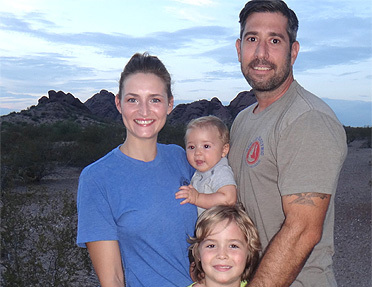 A Scottsdale native and second-generation journeyman electrician. Saguaro High graduate and Certified by the Electric League of Arizona where he studied electrical theory and NEC code for 4 years. After 17 years of electrical experience with his father and several commercial & residential electrical companies, he decided to venture out on his own to create Apollo Electric. Matt has worked on everything from hospital grade low voltage, corporate telephone systems, network cabling, large & small photovoltaic systems, smart home structured wiring, complete commercial and residential electrical wiring, you name it he has wired it or fixed it.